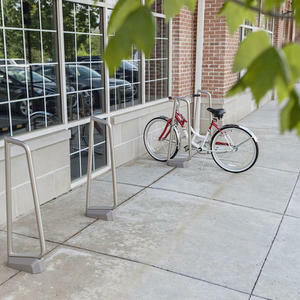 Forms+Surfaces is pleased to launch the new Summit Bike Rack, a bike rack that offers style and security to meet the needs of any public space. Summit’s simple, durable design pairs 1.5" diameter stainless steel tubing with a cast aluminum base that conceals a ¼" stainless steel surface mount plate and anchoring hardware. 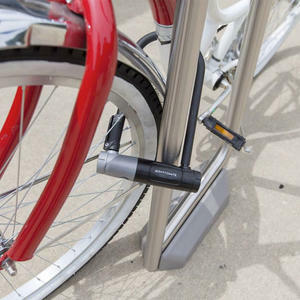 Its unique shape has a wide stance that provides multiple locking points so cyclists can easily secure their bikes in numerous ways with a variety of bike locks. Summit Bike Rack meets the Association of Pedestrian and Bicycle Professionals (APBP) recommendations, assuring safety and functionality. Because Summit is made of stainless steel, it has a high resistance to cutting, offering property-protecting security to its users. Additionally, its clean, versatile design will fit seamlessly into a wide range of settings. Summit’s stainless steel body has a radial Satin finish. Standard powdercoat colors for the cast aluminum base include Aluminum Texture, Argento Texture, and Slate Texture. 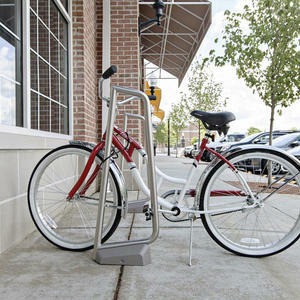 The bike rack and all of its components are 100% recyclable. 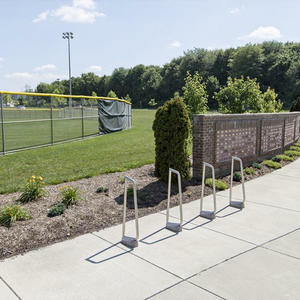 Summit Bike Rack can be surface mounted or cast-in-place – both options offer a solid anchoring system with sturdy supports. 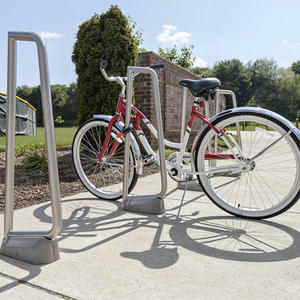 The Product Data Sheet for Summit, and now all the products in our Bike Rack line, includes a section on locking point and configuration options, designed to provide our customers with best practices for using and placing our bike racks for optimal results. 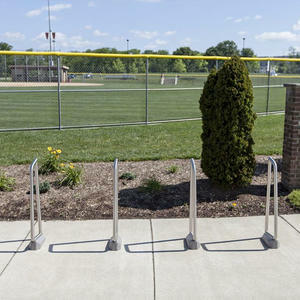 Please visit the Summit Bike Rack page on our website for more information, or contact us to learn more. Secure and stylish, Summit Bike Rack can take your next outdoor project to new heights.